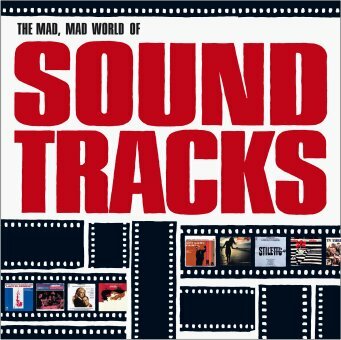 This unique book presents the first visual history of today's most hotly collected records - the great movie and television soundtracks from the 1950s to the early 1970s, from Breakfast at Tiffany's and Thunderball to Mission: Impossible and Barbarella. The soundtrack albums of these and other classic movies are among the most prized collectibles today - recordings that summon up the secret agents, starlets, glamour and exotica of the past and set the mood for the "cool modern" lounge scene of today. The book showcases art, in brilliant full color, from nearly 300 of the greatest soundtrack covers, including many sought-after items by film music legends such as John Barry, Jerry Goldsmith, Henry Mancini, Ennio Morricone and Lalo Schifrin. It is a must for record collectors, graphic designers, film fans and anyone into the easy listening/exotica scene. Entertainment Weekly: It was such a grand way to take home the "look" and "feel" of a movie. Not only were soundtrack composers like Henry Mancini much better than today's saccharine John Williamses, but the disc jacket provided a superior canvas for poster art--often, with its Pucci colors and cut-n-paste shapes, more creative than the flicks it advertised. Check out Saul Bass's herky-jerky designs for Hitchcock and Preminger; marvel at how an entire era can be so readily conjured up by a single typeface. Q Magazine: Eyewateringly glossy 130-page history of the soundtrack sleeve-as-work-of-art, this publication plots almost 40 years of the medium. The late film-maker Saul Bass pitches in with an illuminating foreword recounting his power struggle with director Otto Preminger over the design for print ads plugging the Kim Novak/Frank Sinatra vehicle, The Man With The Golden Arm, in 1955 - seemingly a key moment when a graphic image was offered as a hook for would-be cinema goers rather than the star´s name. Unsurprisingly, Bass´ similarly angular work for Preminger´s The Cardinal and Anatomy Of A Murder, among others, show up later. From there on in, though, the images tell the story. Flitting from the kitsch, sensationalist early-´60s world of spy capers and comic thrillers (smouldering Amazonian beauties in canary yellow bikinis and mutton chopped James Bond wannabes a speciality), to the acid-tinged summer of love (something invariably starring Warren Beatty or with a soundtrack featuring Quicksilver Messenger Service) and the blaxploitation era of a gun-toting Richard Roundtree and a pneumatic Pam Grier. A riot of a coffee-table art book for record collectors and film buffs alike. Filmscore Monthly: A feast for the eyes. The glory and the beauty of many classic soundtrack artwork/photo covers have now been strikingly documented in the wonderful, beautifully produced book, The Album Cover Art Of Soundtracks. The book is a visual delight, encompassing over 40 years of soundtracks. Buy two: one for your archives to show what glorious soundtrack covers once were, and one for you to cut and paste from to hang favourites on your walls. it is that pretty. It would cost you several thousand dollars to get originals of these covers. Don´t let this book pass you by, even if you have never even owned an LP!